Arriving at the first Saturday in March provides another opportunity to participate in the Six Degrees of Separation meme, hosted by Kate over at BooksAreMyFavouriteAndBest. 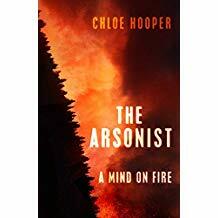 This time we are all starting with The Arsonist by Chloe Hooper, a book which has not yet been published in the UK but looks like an amazing read. It has been longlisted for the 2019 Stella Prize and it will be very interesting to see if it makes the short list on 8 March. Meanwhile, we have links to forge…..